Grape flavoured e liquid from the The Vape Shop is a pristine ripe white grape flavour with a slight sweet undertone. White grape e juice is a very lovely vape full of refreshing grape fruitiness. What Is White Grape E Juice Like To Vape? If you like a crisp fresh and fruity vape then our white grape ejuice will impress you. When you inhale the flavour in vapour form will feel like it's cleaning your palate as it's crisp grape flavour interacts with your taste buds. It's got a very subtle sweetness in the background like the ripe white grapes you can buy. The white grape is less sweet than black grape and offers a more sharper clean flavour. On exhale you can taste the clean fruit flavour again while producing a very pleasant grape aroma with the exhaled vapour. 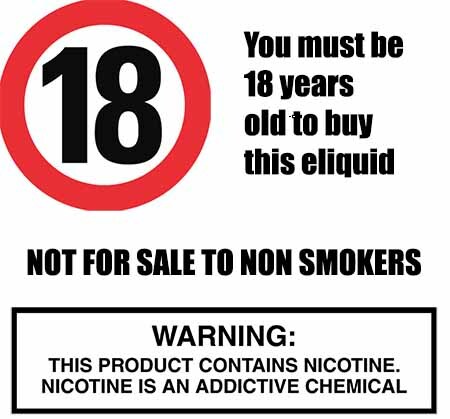 As a UK vape liquid manufacturer we make sure all our liquids DO NOT contain:- Diacetyl, Acetoin, or Acetyl Propionyl, refined sugars, protein, genetically modified ingredients, animal ingredients of any kind, preservatives, sweeteners, or colours. Is Vaping White Grape eJuice Vegan & Vegetarian Safe? You can rest assured when purchasing this e liquid flavour that it contains only the purest ingredients. We assure you that all our bursting fruit e liquids are gluten free, as well as vegan and vegeration safe.